Can one man do "Die Hard" justice? See for yourself Friday at The Bartlett. OUTDOORS | If you're a college student just kicking around til your next semester starts, head thee to Silver Mountain for discounted ski tickets today through Thursday — just $26! FOOD/COMMUNITY | The Yards hosts Dinner with a Psychic Medium, where you'll get some tasty grub and be part of a group reading from medium Tesa Harster. Bring the good mojo, people! You don't want to be the one to doom the group. COMEDY | He tells jokes! He juggles! That's what we call "multi-talented," folks. He's Ivan Pecel, and he's performing at the Spokane Comedy Club. MUSIC | Outlaw country rising voice Autumn Everland headlines a show at Bridgepress Cellars at 5 pm. The show is free, and there are drink and food specials all night. THEATER | We all know John McClane was a one man gang when he took care of business in Die Hard. 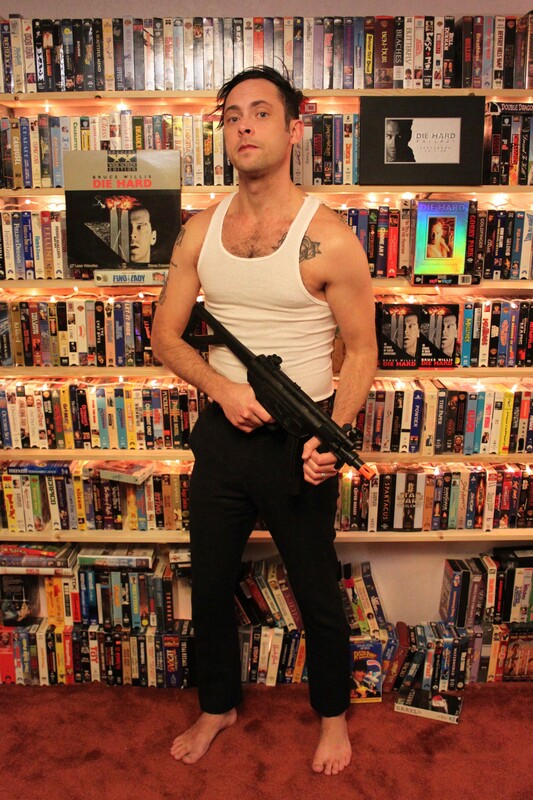 Now Ryan Dean Tucker tackles the entire film as Die Hard: The One Man Show. Yippee-Ki-Ay!